Contemporary Medical Acupuncture aims to bridge the gap between classical acupuncture therapy and contemporary medicine to achieve their ultimate integration. 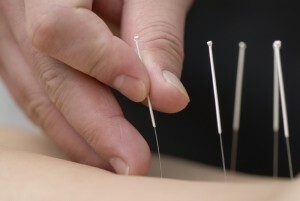 The Medical Acupuncture approach is based on current concepts of neurophysiology, neuroanatomy, and pathophysiology. It involves a comfortable insertion of small solid single-use disposable needles at relevant points on the body in combination with manual needle stimulation or electrical stimulation. Our practitioners have completed the Contemporary Medical Acupuncture program at McMaster University, Hamilton, which focuses on the science-based application of acupuncture. Unlike classical acupuncture which involves using tongue and pulse as a diagnosis, a Medical Acupuncturist relies on a thorough history taking and physical examination in order to determine a proper diagnosis. In general, Contemporary Acupuncture is always integrated with other therapeutic interventions and used either as a first line treatment or as a modality for other treatments. This is dependant on the nature of your problem and on the physiological mechanisms available to your individual case. Contrary to popular belief, acupuncture treatment has been very well studied in both eastern and western scientific literature. The scientifically proven benefits of acupuncture include pain relief, inflammation reduction, improved performance, correction of altered movement patterns, improved blood flow, stress reduction, improved nerve conduction, as well as improved organ function.